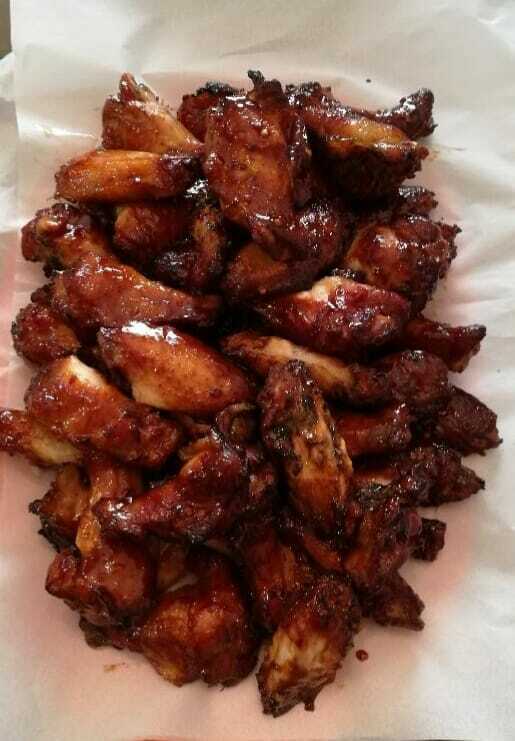 Remove the chicken wings from the marinade and pat dry. Keep the marinade to cook as a glaze. Cook the wings on the preheated grill, turning occasionally, until the chicken is well browned and no longer pink, 25 to 30 minutes.